My PhD thesis on A Future Archaeology of the Mobile Telecoms Industry (completed 2007) is available to read online. This thesis weaves together two ethnographic stories, one in London and the other in the Orkney Islands. It considers how futures are made in the made in the mobile telecoms industry, and how they might be made otherwise. Rather than simply critique the future of the mobile telecoms industry, the thesis develops two methods that enact two different interferences, and two very different futures. These two methods explore the effect of location and landscape on the making of the future, and the important role of writing-as-method within social studies of science and technology. You can also listen to podcasts and other outcomes from the research on the project website. Doctoral research project to refigure how futures are imagined and made in the UK mobile telecoms industry, drawing on ethnographic fieldwork. 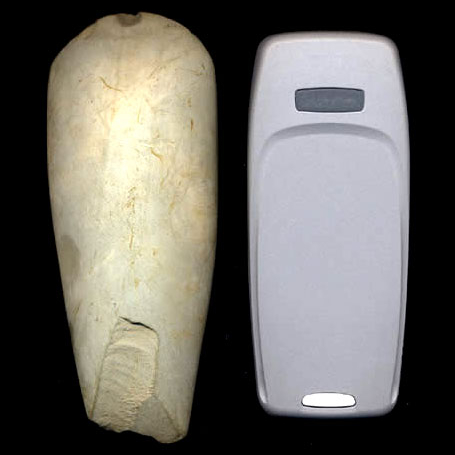 My approach was this: as archaeologists create accounts of the past from fragments of evidence, so ‘future archaeology’ creates accounts of the future from fragments of evidence. The future is not unknown, but is made – in design studios, project meetings, prototypes, financial forecasts, imaginaries, and so on. There is evidence of the future, just as there is of the past. And as there is no single past, but only many possible accounts of the past reconstructed from pieces of evidence, so there is no one future but only many futures that can be reconstructed from the evidence. Watts, L. (2007) A Future Archaeology of the Mobile Telecoms Industry. Centre for Science Studies, Department of Sociology, Lancaster University UK (unpublished thesis).